Las Vegas is viewed as a temporary escape, or getaway, from life. It is known as being America’s gambling capital. Is there more to Las Vegas than its reputation? The city is more than what is may seem. Those from out of town may only want to visit the Strip, but there are many other attractions to occupy your time. For one, outdoor recreation is big in Las Vegas. From Red Rock Canyon to the Valley of Fire State Park, there are numerous opportunities to hike, jog, and rock-climb. Plus, other national parks, such as the Grand Canyon and Zion are only a drive away. With two million residents living in the metropolitan area of Las Vegas, obviously the state’s easygoing vibe has rubbed off on a few. If you are looking to move to or vacation in the area, you will likely want to take your car with you. The easiest way to get your vehicle from Point A to Point B is with car shipping services. Learn more about Nevada Car Shipping. One of the first questions many people have regarding car shipping is, “How much will it cost?”. Well, this depends on a number of factors, including the location, type of vehicle, and season. The best advice is to request a quote. Most company’s offer a free quote form on their website, but not all are created equal. National Dispatch’s quote calculator is different from many of the competitors’. It does not require any personal information, and it only takes a few seconds to receive a quote. What you do after you request a car shipping quote is up to you. Remember to take everything into consideration. Do not go for a company that offers the cheapest rate around. You want to find a company that you can trust, but also offers competitive pricing. When you book auto transport services, you must decide whether you want an open or enclosed transport carrier. Each has their advantages and disadvantages. Using an open carrier usually means the cost will be less. However, your car will be susceptible to dirt, dust, and other debris, as well as the weather. If you are looking for an option that provides more protection, using an enclosed carrier is the way to go. Although it is more inexpensive, you will have peace of mind knowing that your vehicle is shielded from all road elements and weather conditions. Read more on Open Versus Enclosed Auto Shipping. Inspect The Vehicle For Damage. Before the car is loaded onto the transport carrier, the driver will complete a vehicle inspection report to note any pre-existing damages. This is important for insurance purposes in case anything was to happen during transport. It is also a good idea to make a few notes for your own records, and maybe even take some photographs. Learn more about Preparing A Car For Auto Transport. 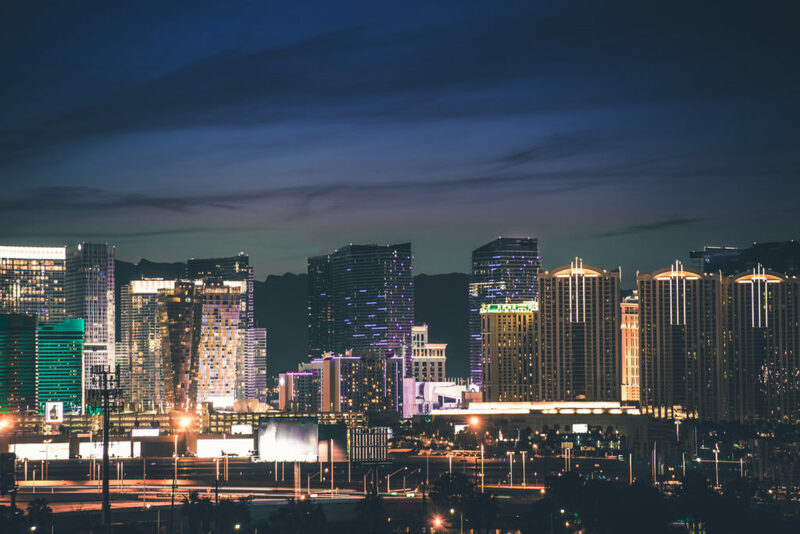 Las Vegas may be known for gambling, shows, bachelor parties, accidental marriages, and drunken nights, but what is it like to actually live in Las Vegas? As you can imagine, the cost of living in Las Vegas is slightly higher than the national average. However, it is rather reasonable when you factor in other major metropolitan areas like Los Angeles, Atlanta, or New York. The largest factor in cost of living is housing. Housing is more expensive in Las Vegas, but utilities are generally less expensive. You can also save on transportation costs, such as gas and car maintenance, if you plan on working in the city, because your average commute is only 20 minutes. Another factor to consider with cost of living is average annual salary. The annual salary for someone in Las Vegas is generally less than somewhere else. The average salary in Las Vegas is just over $42,000 while in other parts of the United states, the average is above $48,000. Before you make the decision to move, make sure to check your anticipated salary versus what you are currently making. Las Vegas is generally warmer than the country’s average temperatures. Like most desert climates, Las Vegas can be extremely hot in the summer. Summer temperatures can reach well over 100 degrees with little to no humidity. Winter will get cold, but it rarely (if ever) snows. If it does snow, it will not stick because the coldest it typically gets is 35 degrees. While the Las Vegas Strip may be the most obvious thing to do, here are several fun things to do that are off The Strip. The Mob Museum – Learn about the mob’s former presence in Las Vegas. You can also hear a court case, try on brass knuckles, and sit in an old electric chair. Dig This – At Dig This, you can drive a bulldozer or excavator. This is the adult version of playing in the sandbox. Pinball Hall of Fame – Here, you can play vintage pinball machines and arcade games. Climb Red Rock Canyon – Red Rock Canyon is one of the most popular climbing spots in the southwestern region of the country. There are also several hiking trails at Red Rock if you are not a fan of climbing. First Friday – On the first Friday of every month, locals gather downtown with food trucks, crafts, artwork, and more. Are you in need of auto transport services? Need to get your car from Point A to Point B? National Dispatch is a nationwide auto shipping company. Request a free, instant car shipping quote. No personal information is required. You can also call us at 800-321-2051.